I am a way too pale guy from Europe, who is discovering the unique islands of French Polynesia in the middle of the Pacific and while doing this, I learn about myself every single day. Here I share what I learn, my challenges during this experience and also tracking my own progress. The shining star under the tropical fruits and the definition of holidays. The coconut represents the island life like nothing else. 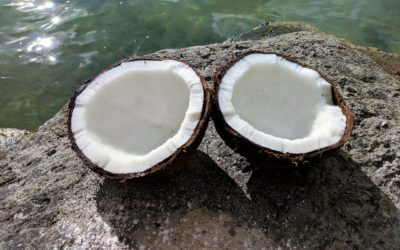 There are many ways to make use of this extraordinary fruit but what is probably the most desired substance to get out of it, is this delicious coconut milk we all know, love and use for our food. But how does the real process look like? Go ahead and follow me on how to make coconut milk.